The war of words between Rep. Luis Gutierrez (D-IL) and Chief of Staff John Kelly has yet taken another turn, with House Majority Leader Kevin McCarthy speaking out about the spat. McCarthy zinged Gutierrez’s ‘disgraceful’ attack, calling for the Democrat lawmaker to apologize to Kelly and his family. House Majority Leader Kevin McCarthy (R-Calif.) on Wednesday lashed out at Rep. Luis Gutierrez, calling on the Illinois Democrat to apologize for disparaging White House chief of staff John Kelly, a retired four-star general. “General Kelly has served his country in the Marines and he is serving his country again in this administration. He is truly an American patriot,” McCarthy told reporters at a news conference in the Capitol. “Now what is disgraceful is to attack the character of such an honorable man who has dedicated his life serving this country,” McCarthy continued. It was a rare sight to see the No. 2 GOP leader publicly call out another House member from the leadership podium without any prompting from the media. 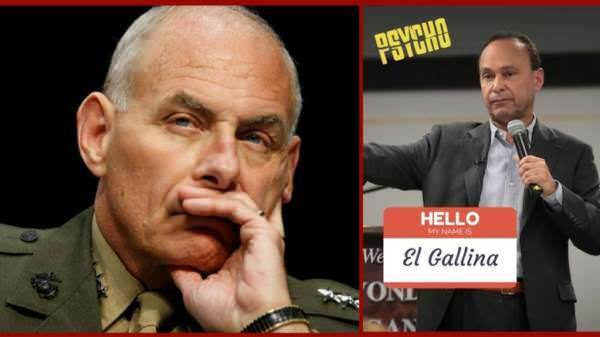 Rep. Luis Gutierrez (D-IL) has responded to John Kelly after being called out for saying the Chief of Staff is a ‘disgrace to the uniform.’ According to Gutierrez, the retired four-star Marine general isn’t actually a general, rather he’s a politician. “What could be more mean and more vicious than to say ‘you’ve got six months to pack up…and leave the United States’,” Gutierrez said.